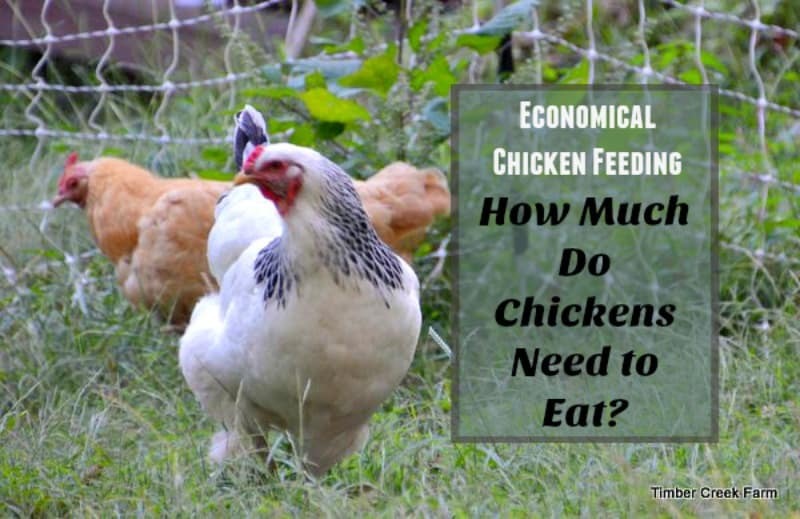 How much food does a chicken need per day? The answer varies with conditions, breed, weather and how much foraging is available. Chickens eat all day long.